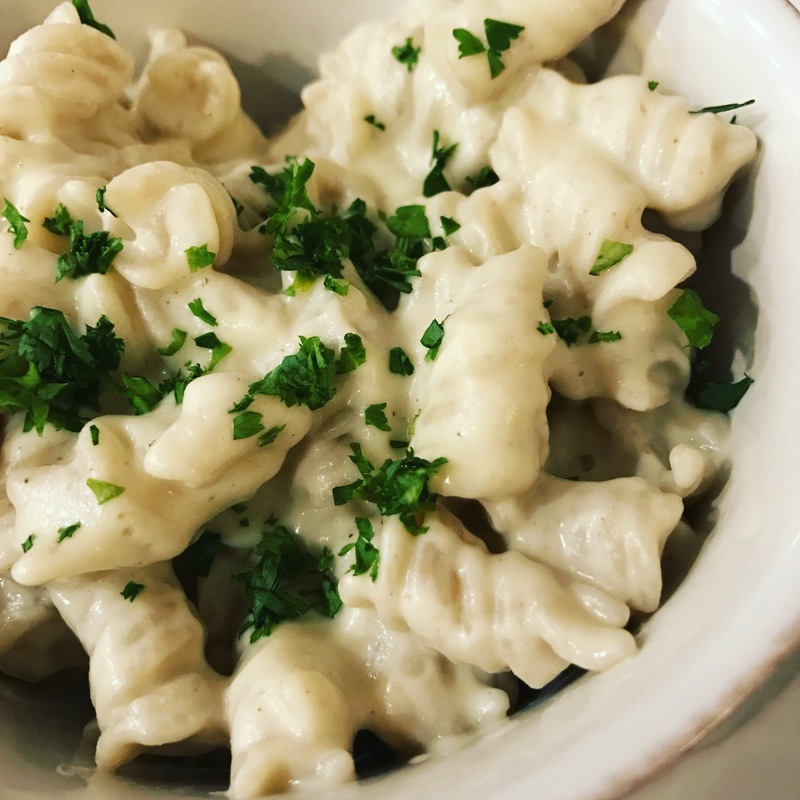 Move over traditional Alfredo sauce, with more fat and calories than any human should consume, and make room for a vegan, oil-free Alfredo sauce made with cauliflower! Not only is it healthier without all that fat and oil/butter, you get a boost of nutrients from the cauliflower! It's very easy to make and truly delicious. Saute onion in pan until soft, adding small amounts of water as it sticks to the pan. Add garlic and cauliflower to onion and cook until soft. Add to hot pasta and garnish with fresh parsley. Cauliflower rice is popular in stores right now. If you can't find it, simply process cauliflower in food processor until small and crumbled, to about the size of rice. Try using 1/2 cup of cashews instead of 3/4 to reduce the fat content. I use about 3 cups per 16 oz bag of pasta, so you will likely have leftovers. This sauce is delicious over veggies or whole grains. This entry was posted in Recipes and tagged alfredo, cashews, gluten-free, pasta, vegan by Shelly Detken. Bookmark the permalink.